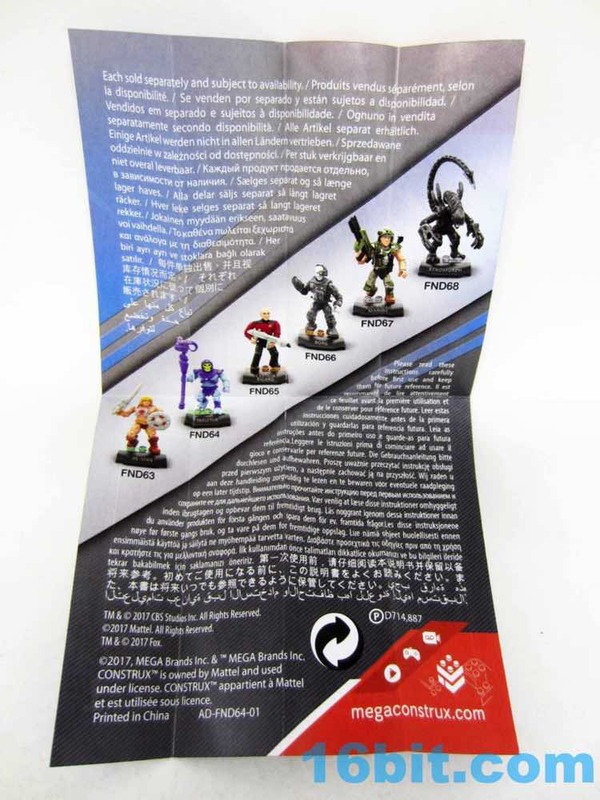 Mattel's rebranding of Mega Bloks to Mega Construx seemed strange, but now it's looking like a great idea. 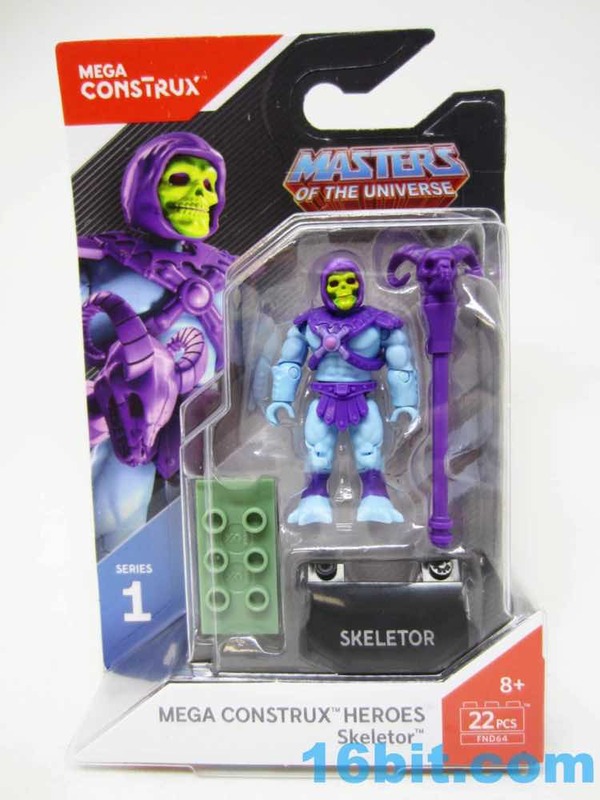 $4.99 action figures are far and few between, but Mattel is delivering a Masters of the Universe Skeletor as one of six roughly 2-inch tall carded action figures - and more are coming. 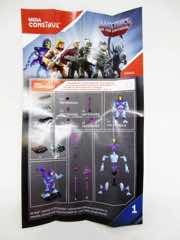 It's a good impulse buy price and, frankly, when is the last time we saw new figures at $4.99? Sure these are technically plussed-up construction figures, but still. 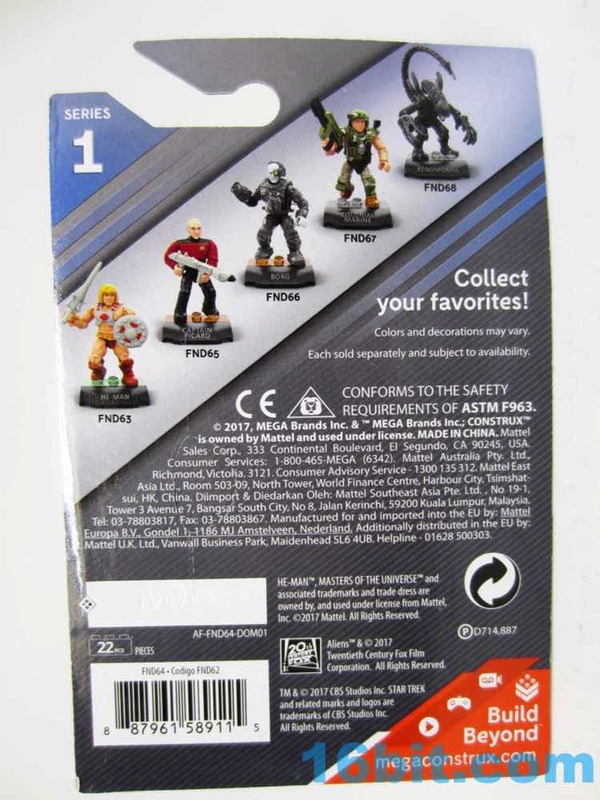 Even a blind-bag LEGO figure is about four bucks. 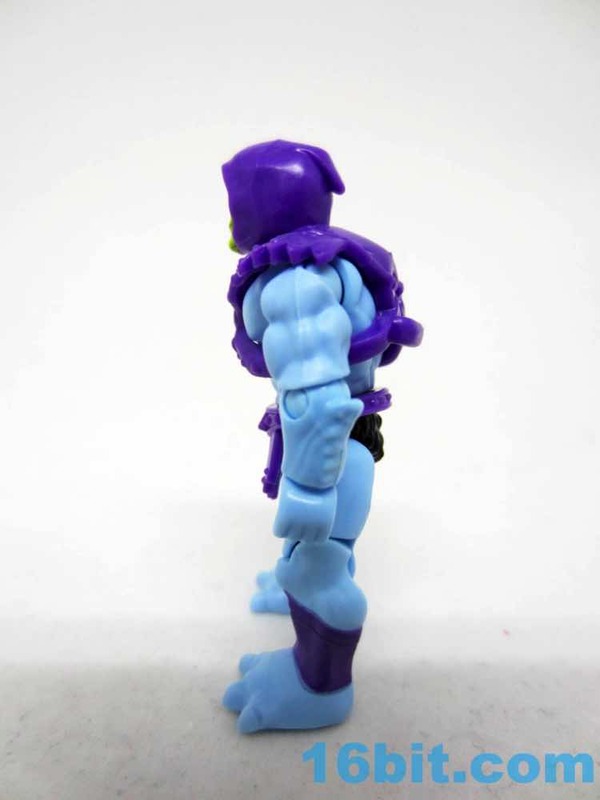 This 2-ish inch scale figures are fun and have basically the same build as the other upgraded figures, like the Ninja Turtles. 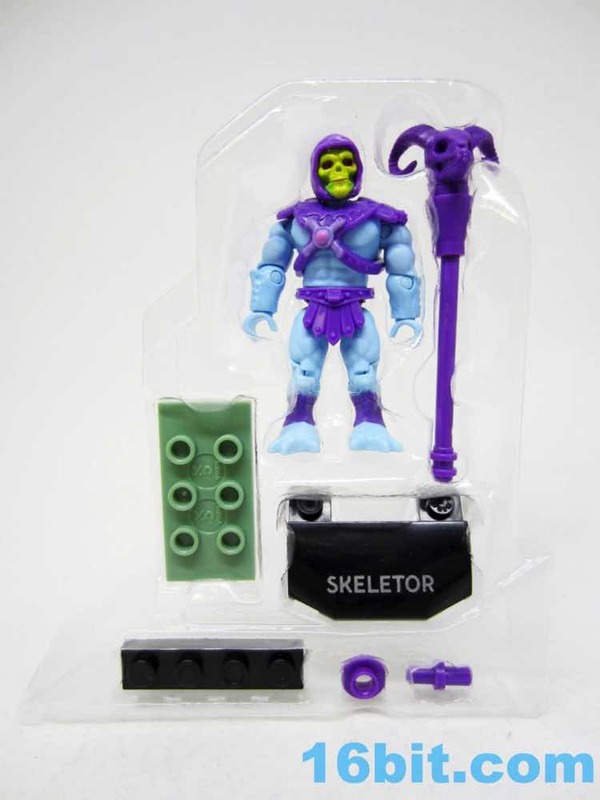 With 16 points of worthwhile articulation, this version of Skeletor is a little meaty and takes most of its cue from the original action figures. 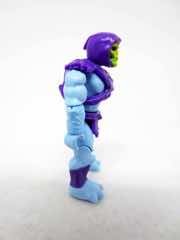 His yellow face has some green behind it, with red eyes. 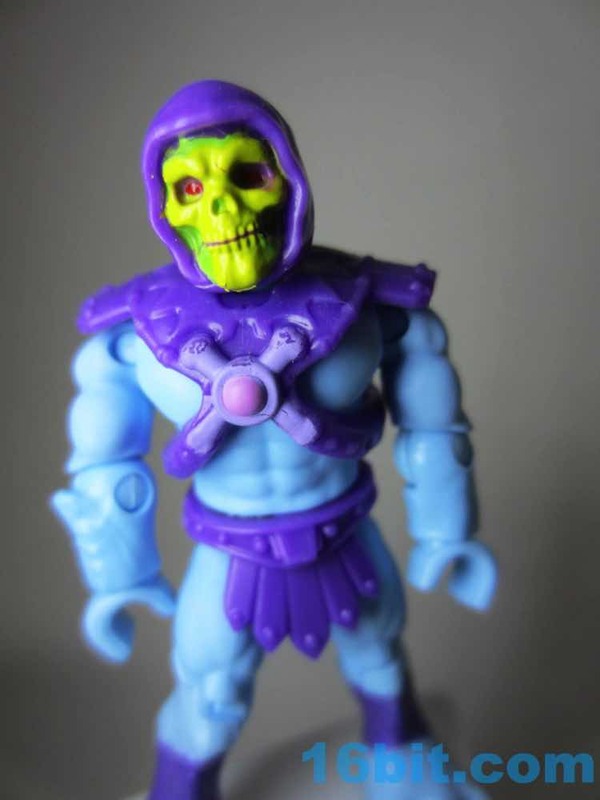 A purple hood is molded to his head and matches the armor which, surprisingly, has a painted bone "X" on it that the toys rarely sport. The three-toed webbed feet are here, as are the thorny forearms. 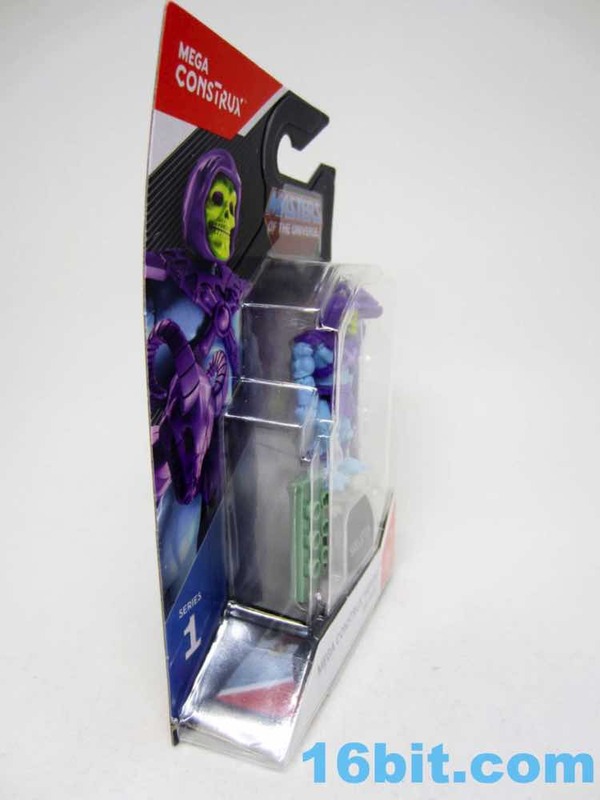 The funny thing is the day I found this, a friend of mine was just emailing me that he saw and bought some of the other figures. 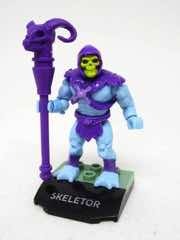 I remembered seeing these at a Mattel event and wanting to get Skeletor to see how they turned out, and dang if they didn't turn out well. He can hold his weapon, he can stand, and he fits in with various other construction brick toys. 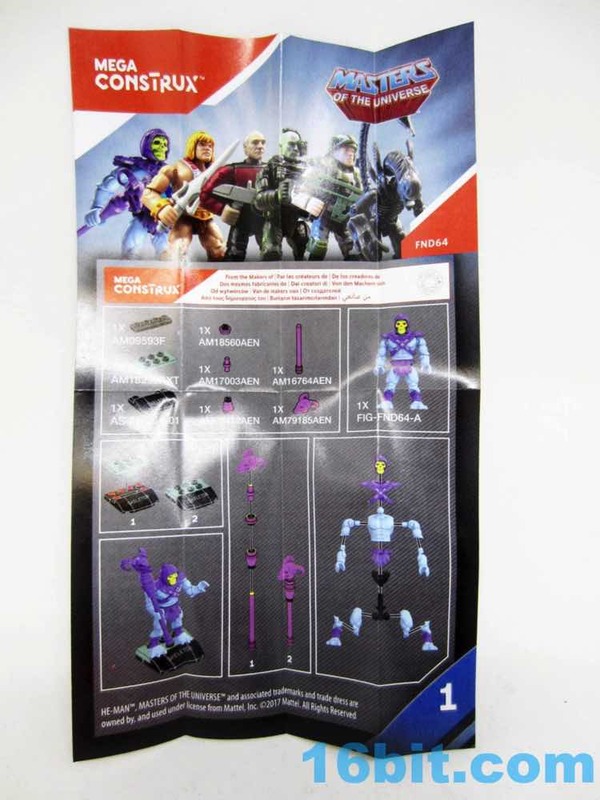 These kinds of figures were always good, but the format may serve as a sample or stealth ambassador to get more people to buy them who may not have otherwise. 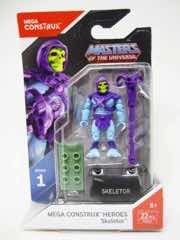 I don't want more Halo stuff, but there's always room for micro He-Man. Deco is good, arguably better than the source material. 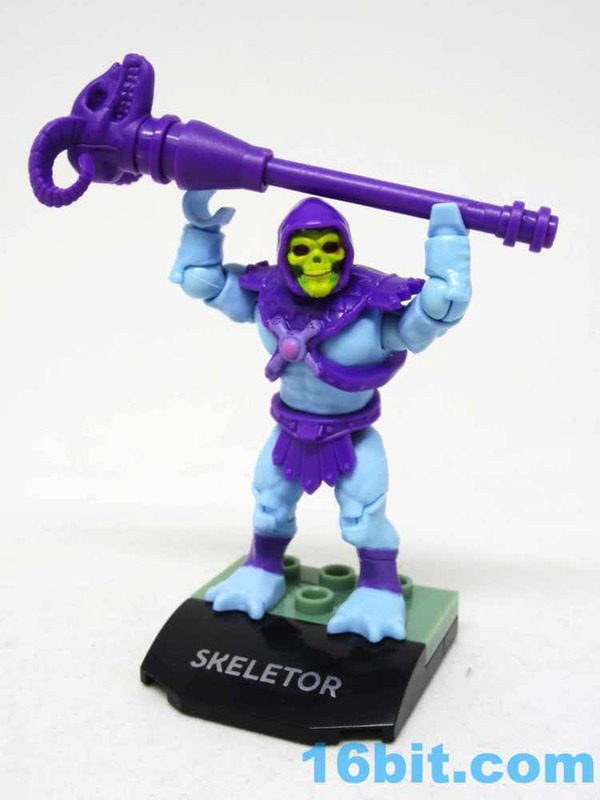 The Havoc Staff is molded in purple and is five assembled pieces, while Skeletor's head comes prepainted and a few other elements sport some pigment. Most pieces are bare plastic, as they should be. 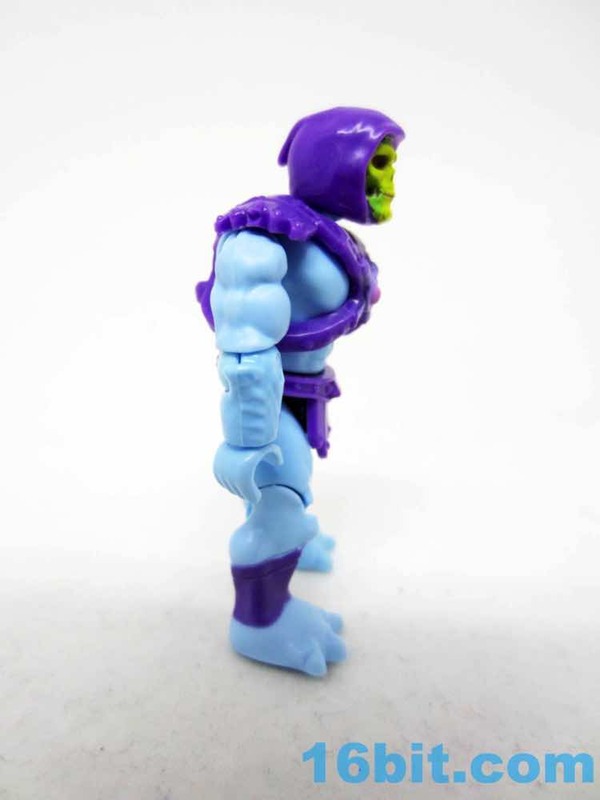 Thanks to Skeletor's unique physique and coloration, this figure turned out perfectly. Flesh-deco figures looked god, but the faces weren't quite as good as Skeletor's, or the Borg's, or the Alien creature. 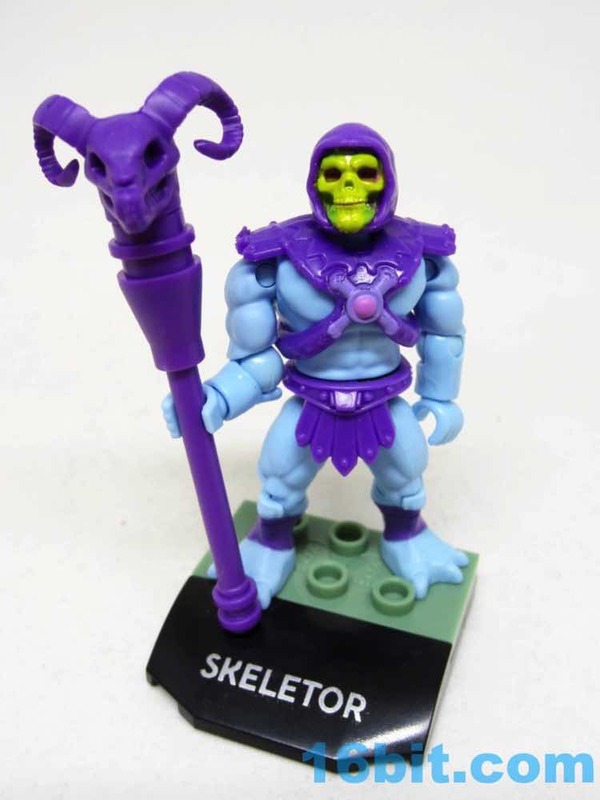 They didn't take shortcuts - and I'm actually surprised we got Skeletor in the Mega format before Imaginext. 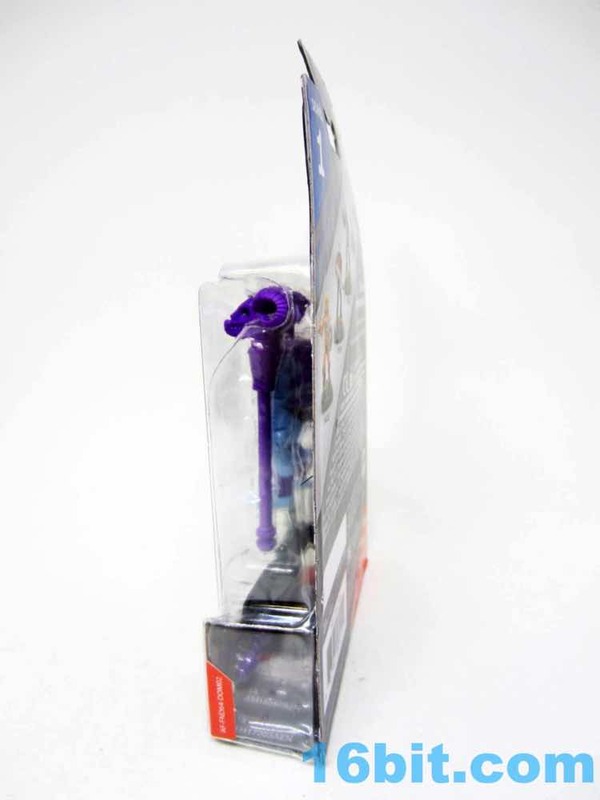 This is better than Kubros, and given the price it may be more satisfying than higher-end collector figures. I wish they would do a whole run of these guys, or at least the heavy-hitters, but odds are it'll taper off before we ever see the 10th character. Skeletor was worth the five bucks at Walmart, and I'd buy more characters if given the chance. I'm now even tempted to buy a Castle Grayskull or Snake Mountain if Mattel made one. 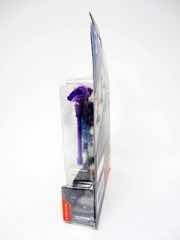 This is a good satisfying format for the price, with other licenses roped in that you might actually want to buy. 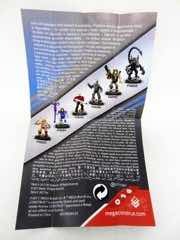 I like the size, I like the price, and I like the quality - if they don't get bored with the format, I'll keep buying. 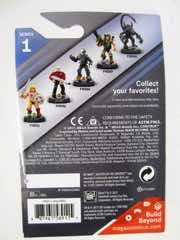 I'd be very happy to see a Panthor or Battle Cat next.